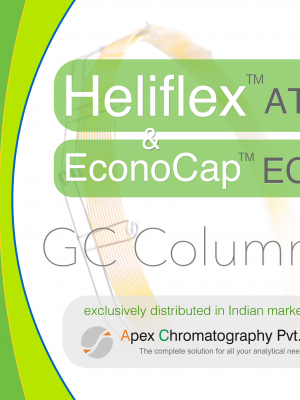 Mega – Apex Chromatography Pvt. Ltd.
Today MEGA offers a wide range of products and GC Capillary Columns, the quality of which is guaranteed by testing each individual column using the Grob Test Mixture that confirms the high efficiency of our products. 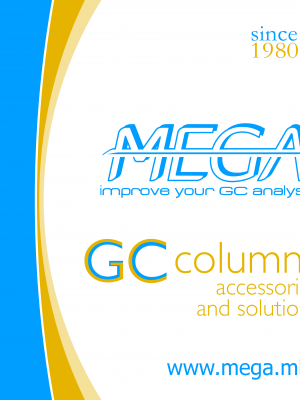 The MEGA’s catalog includes GC-MS low bleeding columns, FAST and Ultra-FAST GC columns and solutions for Multidimensional and GCxGC Comprehensive techniques. Moreover MEGA produces the most efficient GC capillary columns with cyclodextrines-based stationary phases for enantiomeric chiral separations (MEGA-DEX Columns Line). We offer the possibility to completely customize the product, producing ad-hoc special columns to solve your specific analytical problem. We test your sample for you! Our gamma-products are completed with PRESS-FIT micro connectors (Union, “Y” type and 4, 5 ways type) and a Retention-Gaps Line deactivated for any purpose. HeliflexTM “ATTM -” – as, for example, AT-WAX+, AT-5 MS+, AT-624+ etc. Econo-CapTM “ECTM -” – as, for example, EC-1+, EC-5+, EC-WAX+ etc.We hope to provide you, in this way, a welcome service, having the possibility to continue to supply to you GC columns fully equivalent to those you’ve always used to validate your GC analytical methods and of course the best solutions for your new GC analysis as well.